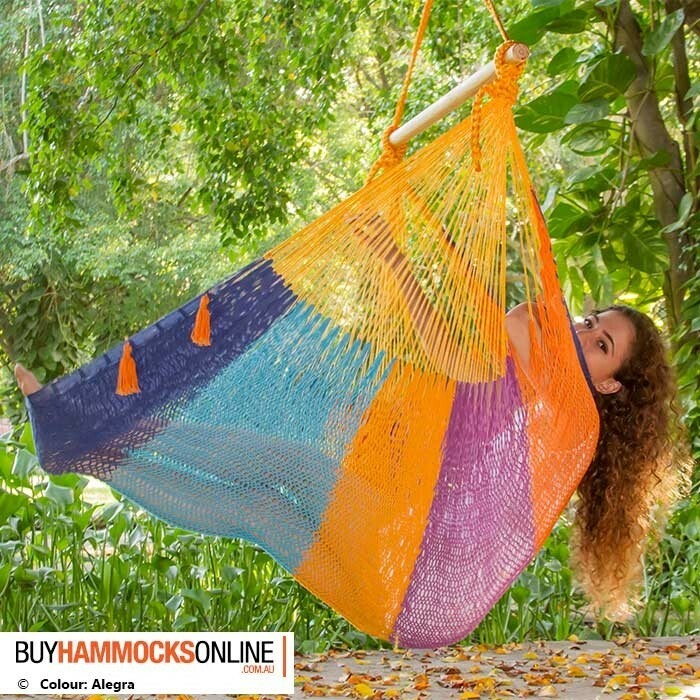 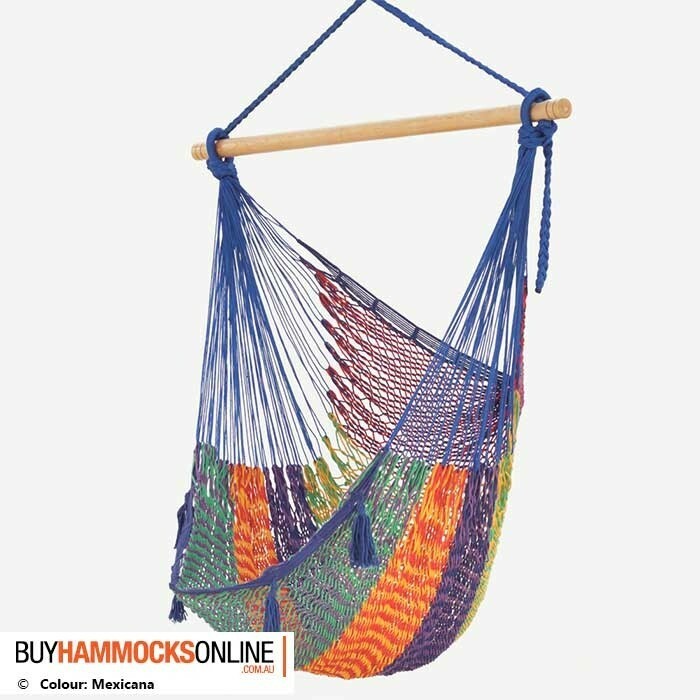 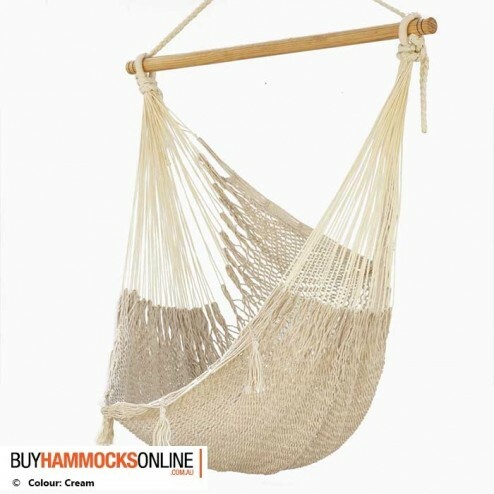 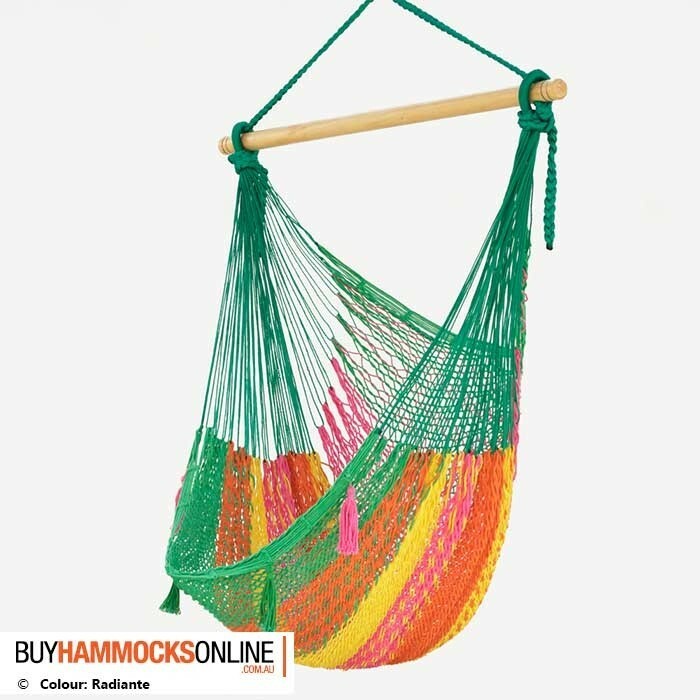 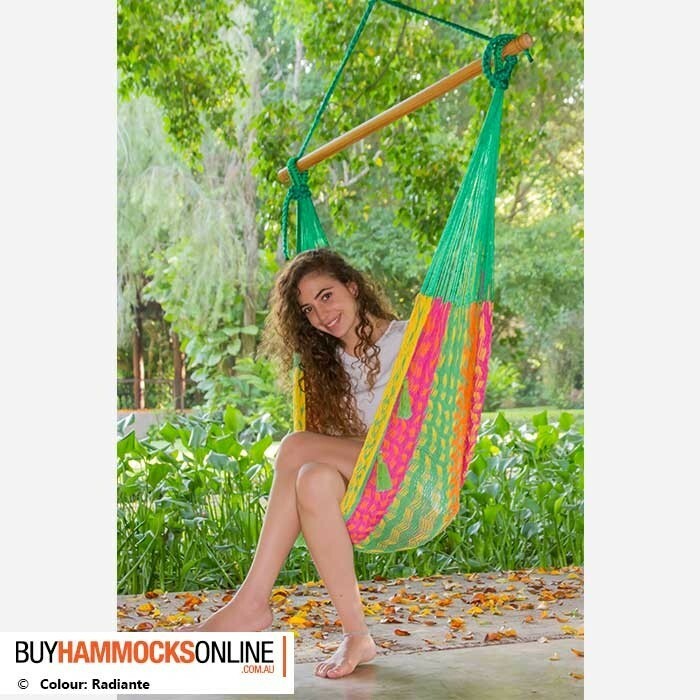 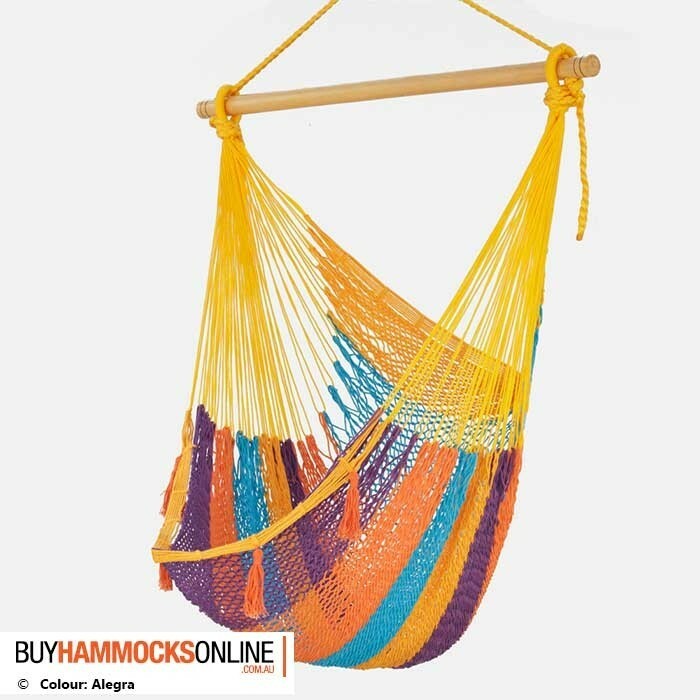 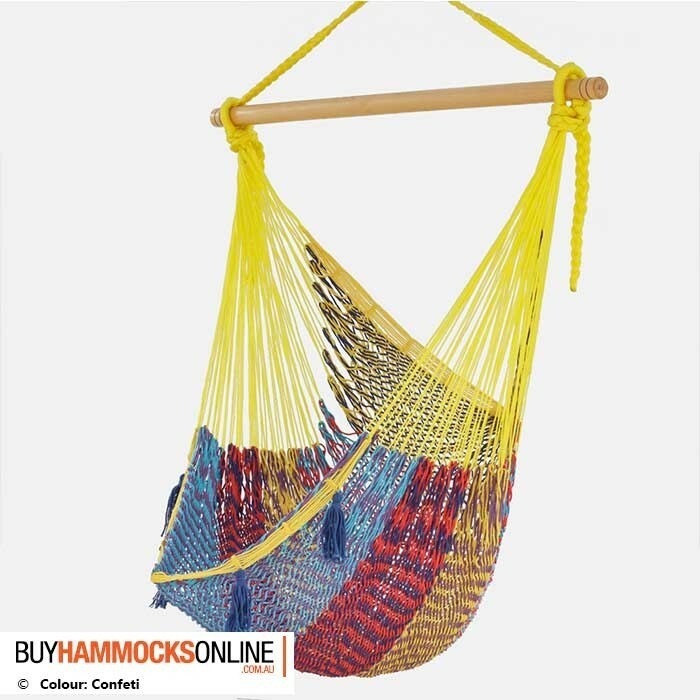 The Hammock Swing Chair is a unique and rare hammock chair, but popular due to its comfy back support and extra large size. 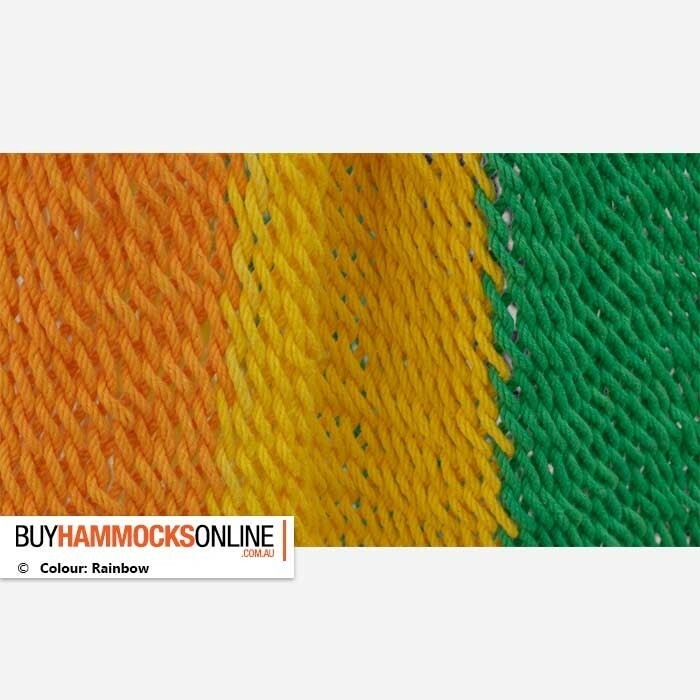 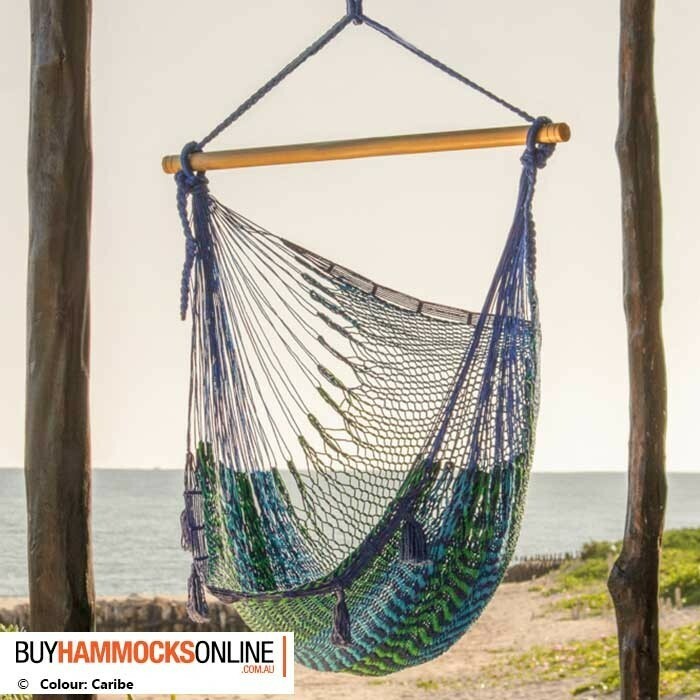 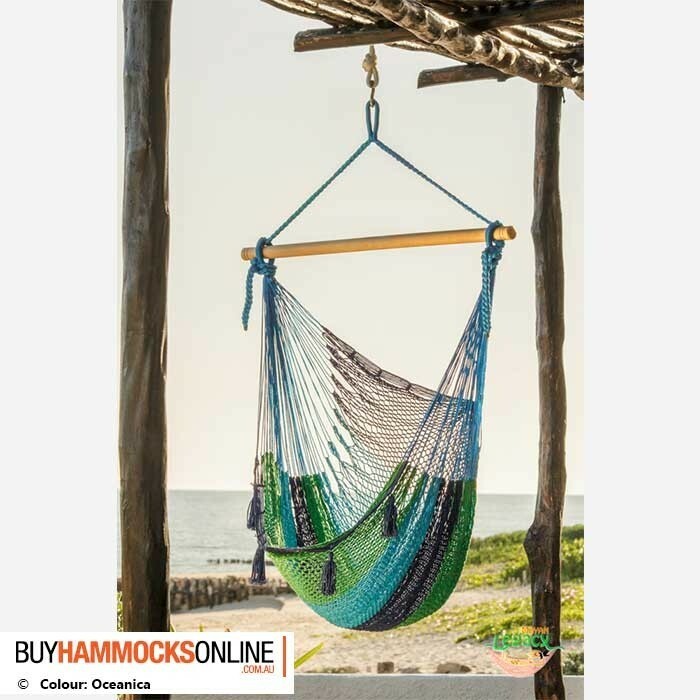 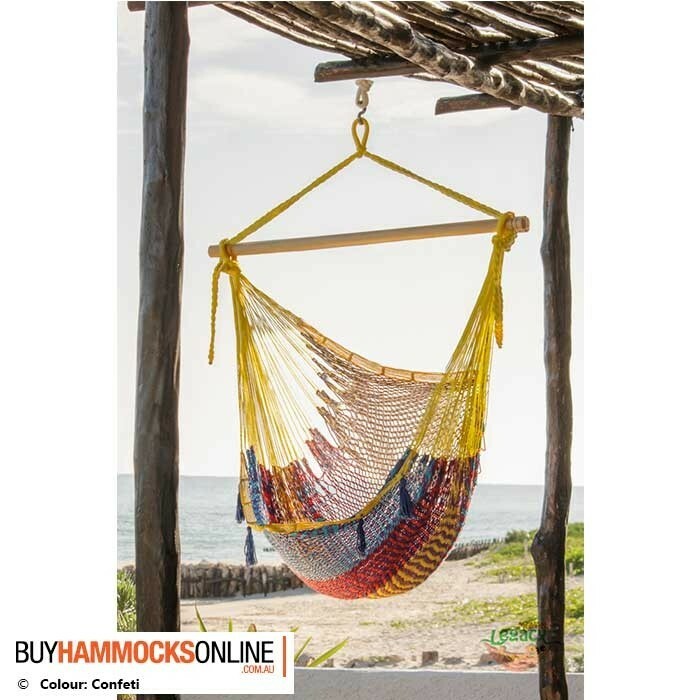 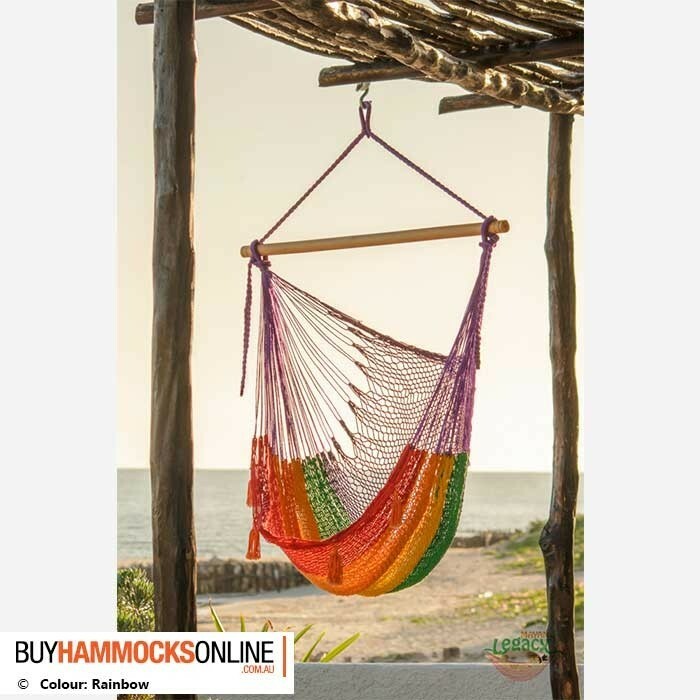 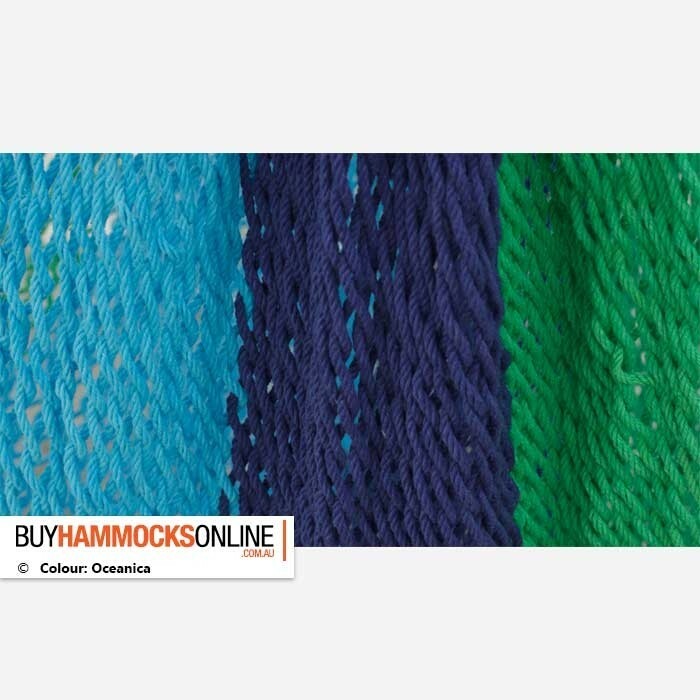 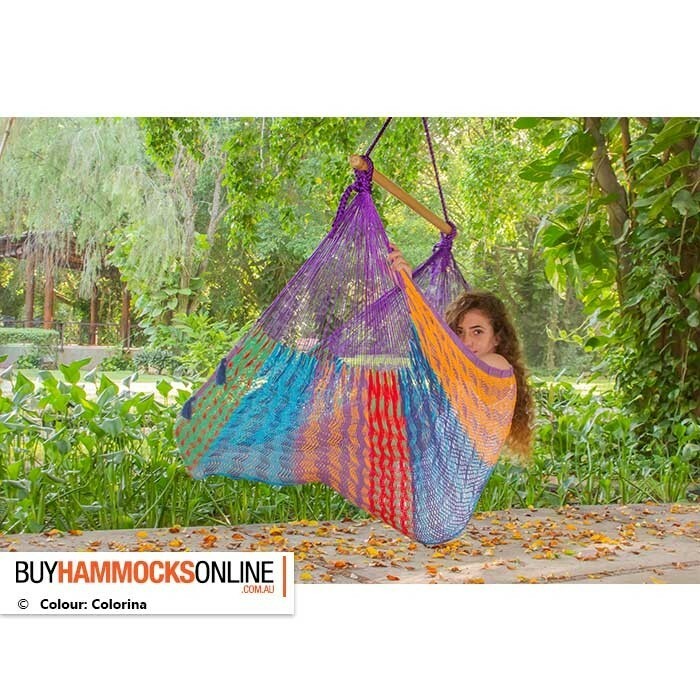 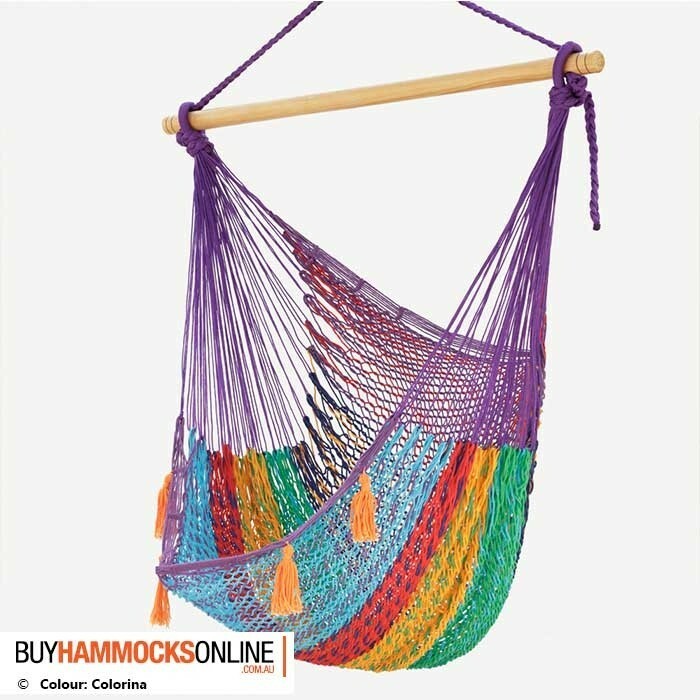 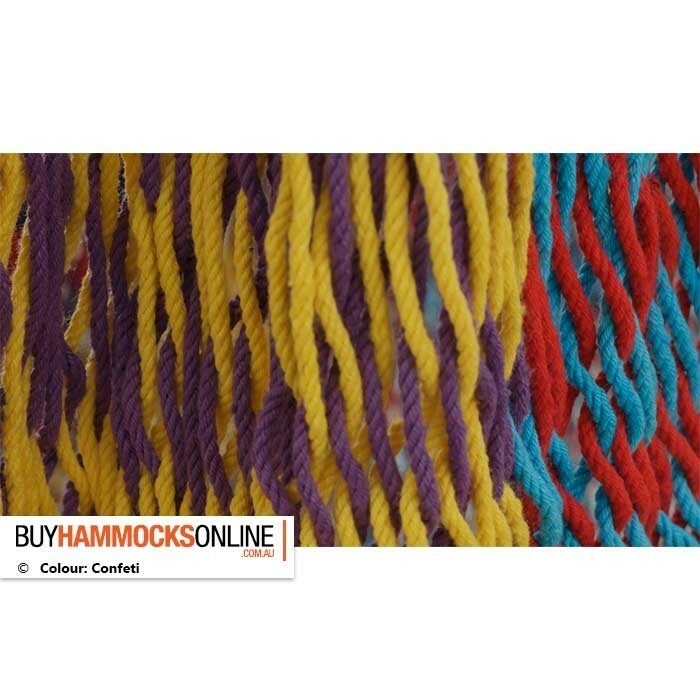 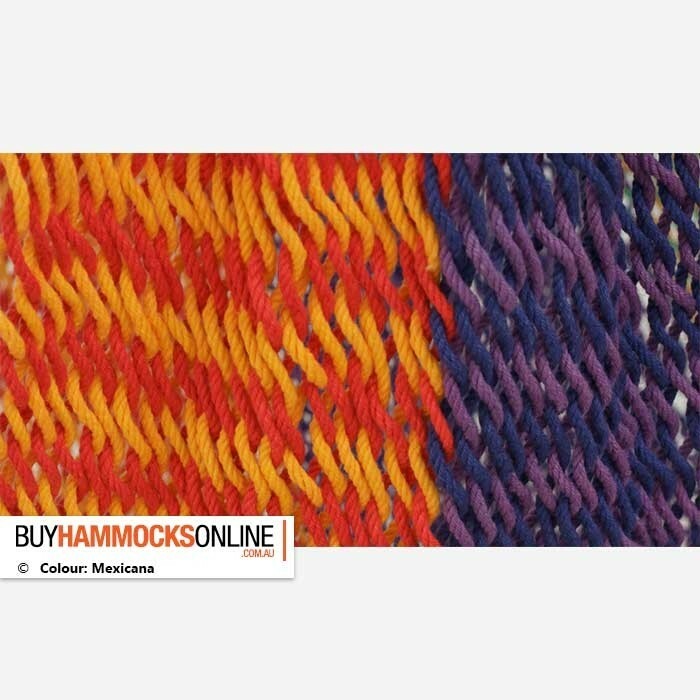 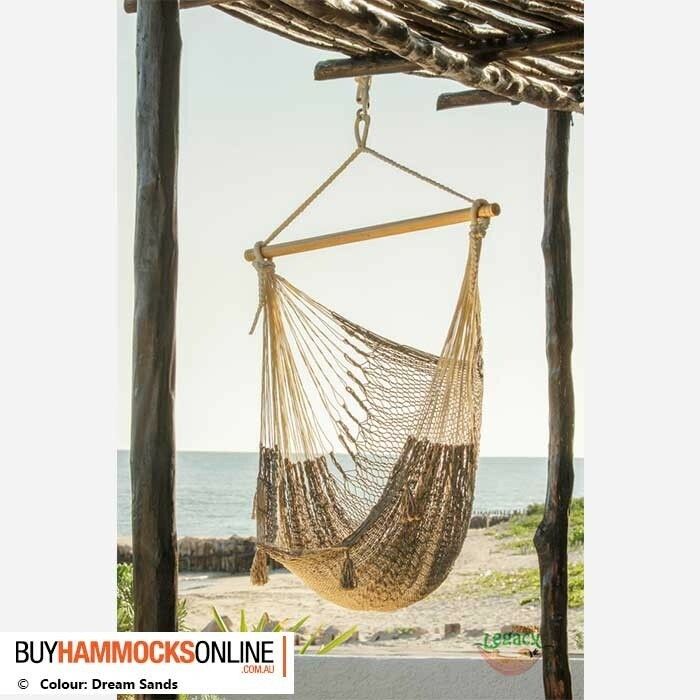 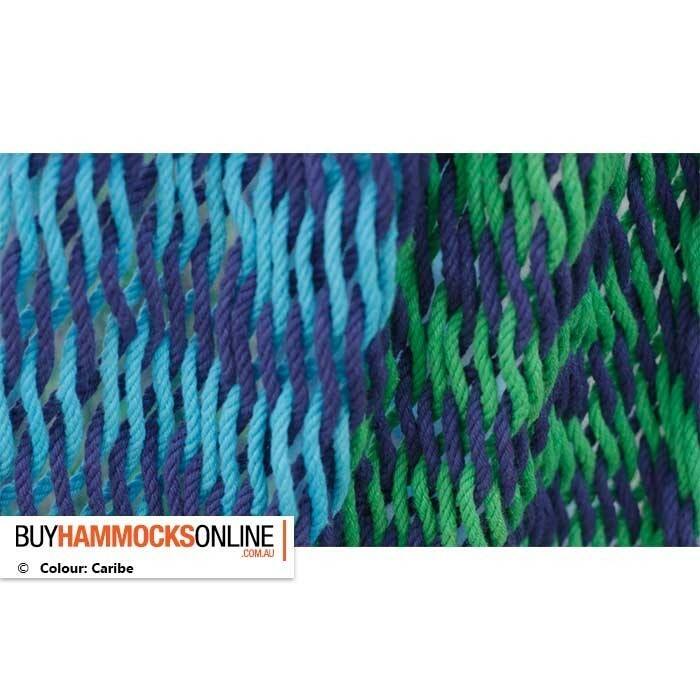 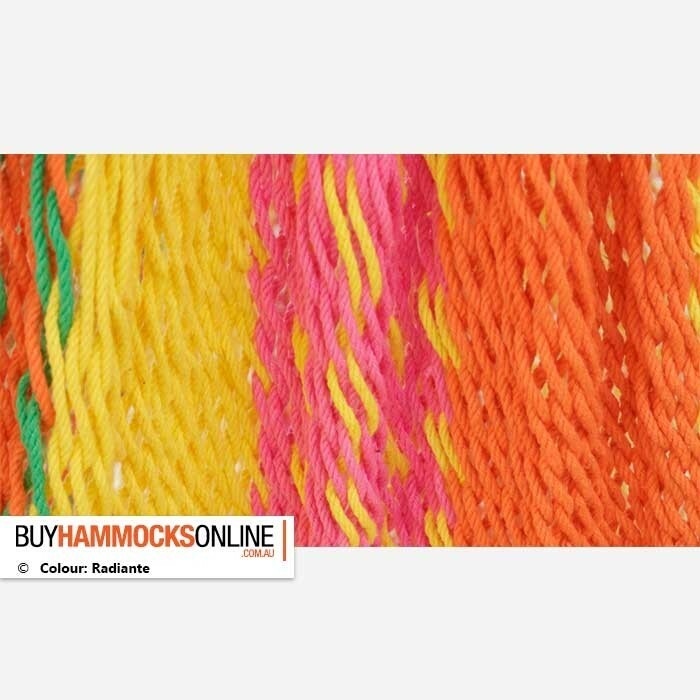 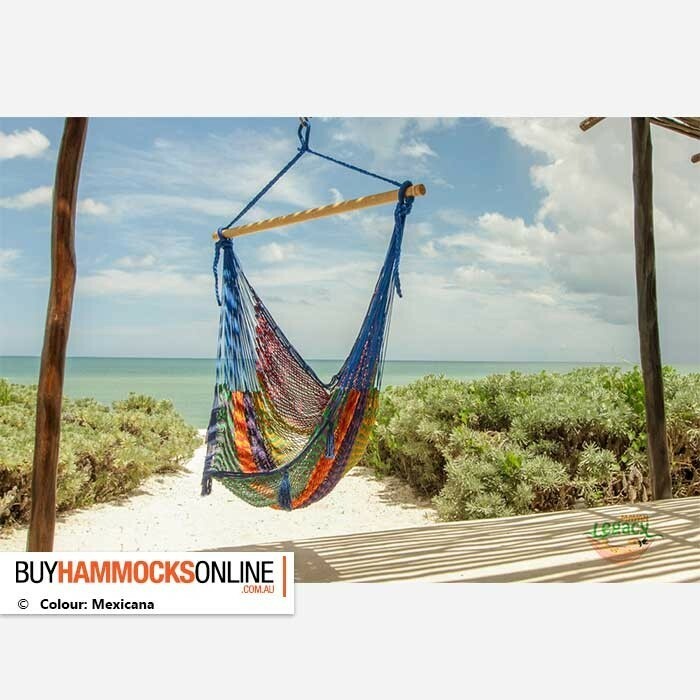 These hammocks are expertly handwoven by Mexican artisans and utilise outdoor cotton, which is 4x thicker than the regular cotton string found in our other Mexican hammocks available online. 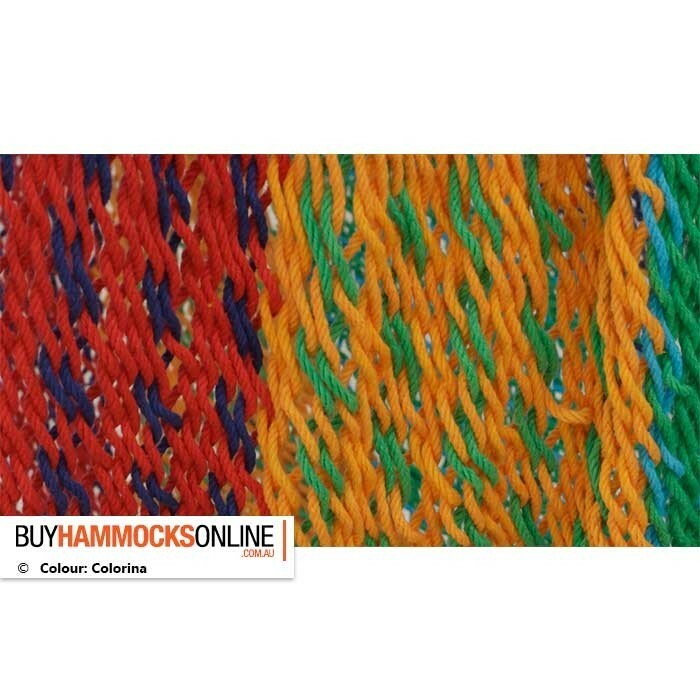 This makes them last longer, stronger, and suitable for outdoor use. 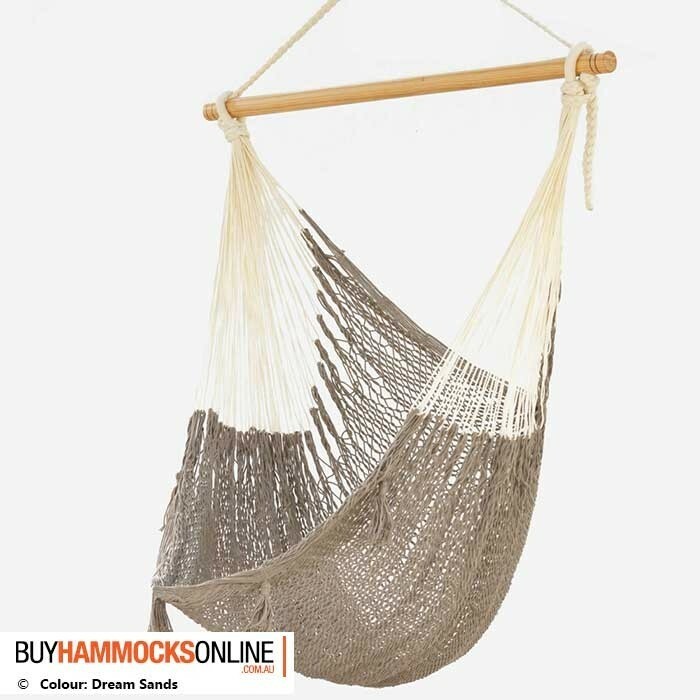 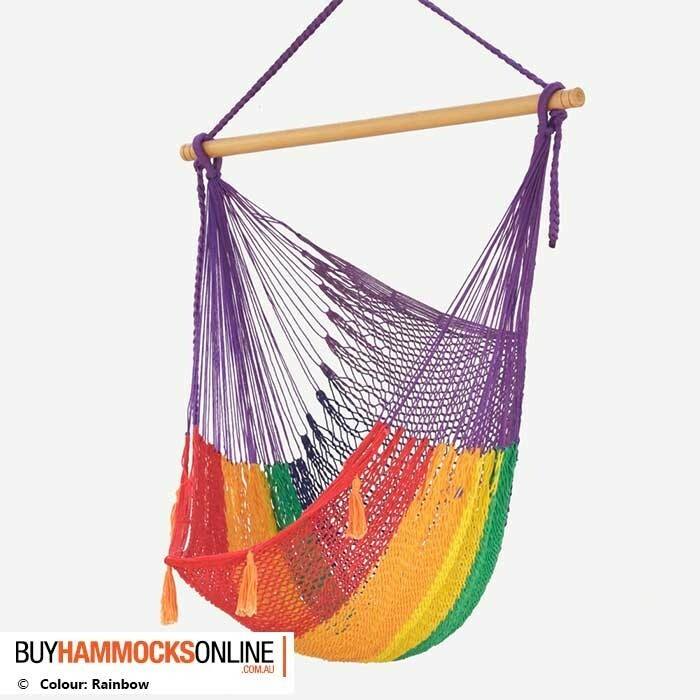 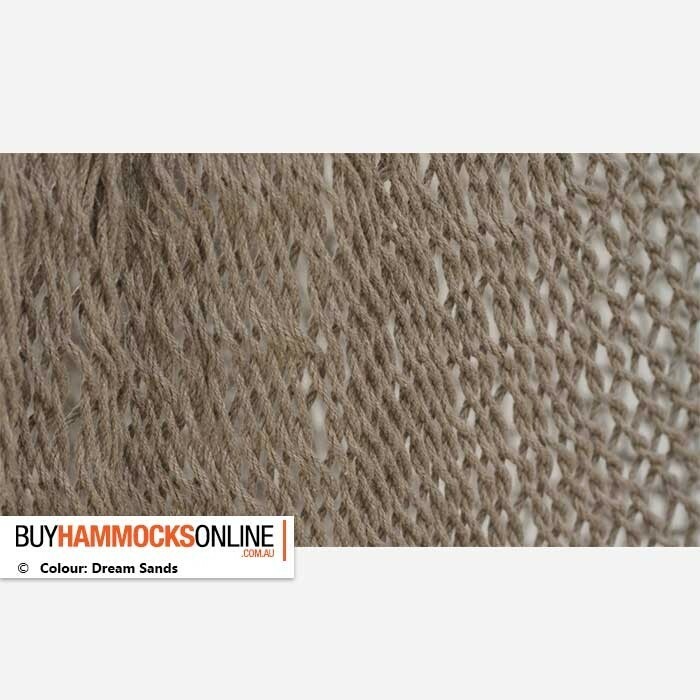 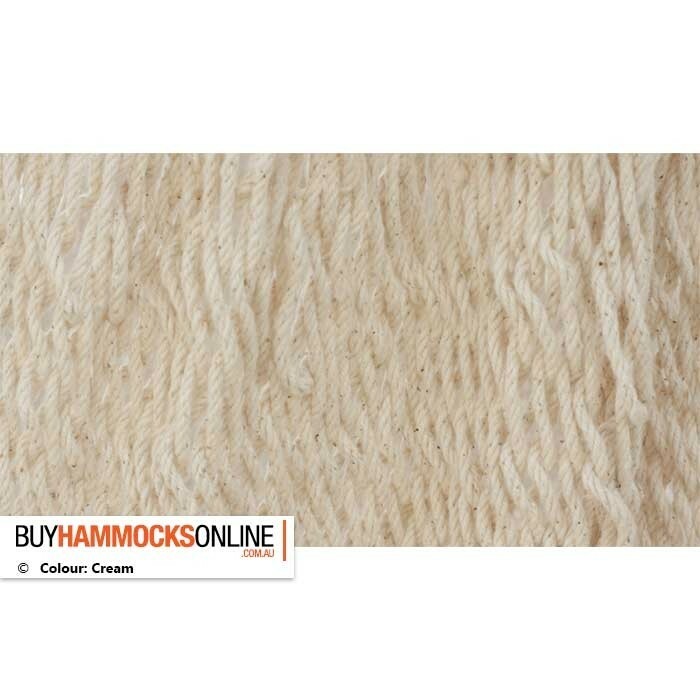 The secret of this hammock's superior strength and comfort factor lies in the diamond-shape design of the hammock weave. 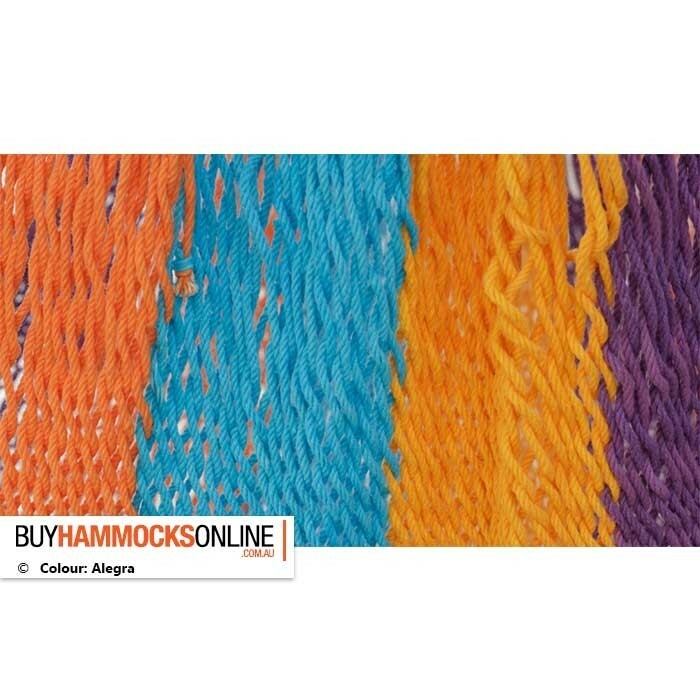 Note: Warehouse closed from 27 December to 02 January. 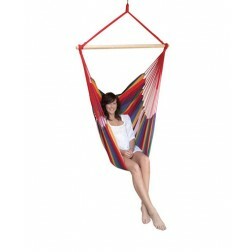 Orders in this time-frame will be sent 3rd January. 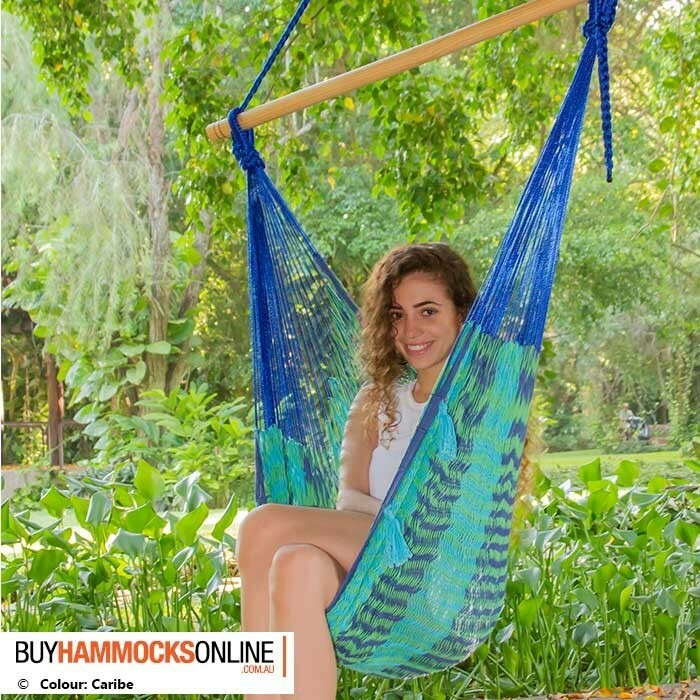 Holding the crown as one of the most popular hammock chairs available in Australia, the Hammock Swing Chair is perfect as a gift to a lucky someone, or as a gift to yourself and your household. 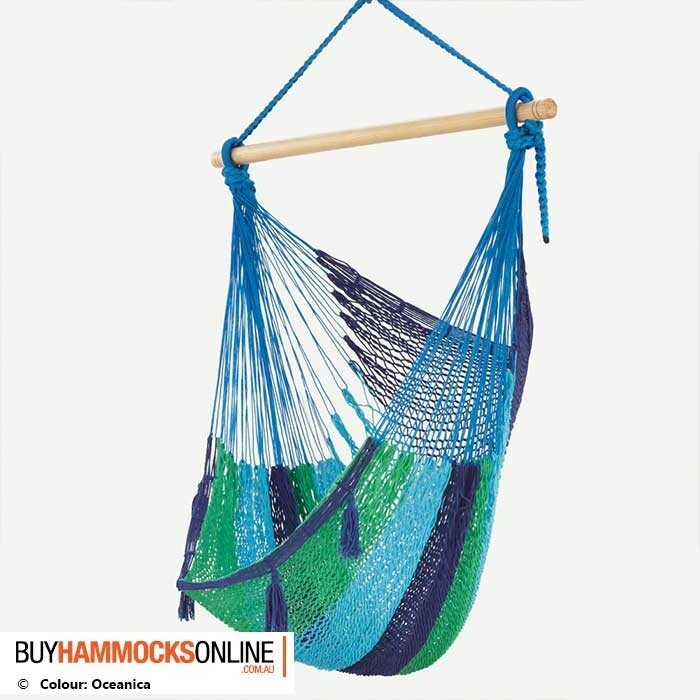 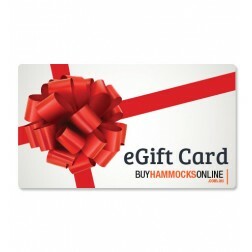 Give the gift of a hammock chair today, and lower stress levels for all involved.